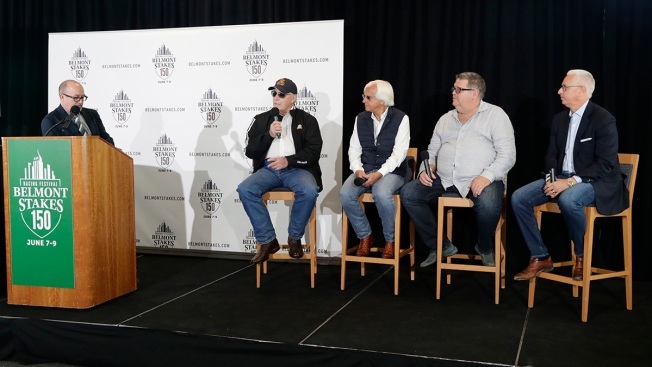 From left: Trainers D. Wayne Lukas, Bob Baffert, Dale Romans and Todd Pletcher sit on stage during the draw for the 150th running of the Belmont Stakes horse race, June 5, 2018, in New York. Dale Romans potentially saved a woman from choking to death. Romans is now nicknamed “The Heimlich Man” by Justify’s trainer, Bob Baffert. Romans lone win in a Triple Crown race was with Shackleford in the 2011 Preakness. 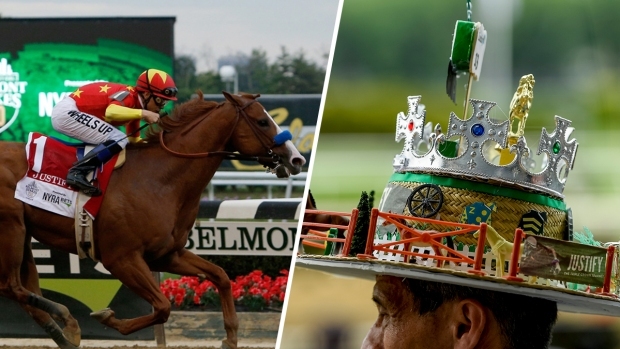 Forget the Belmont Stakes. 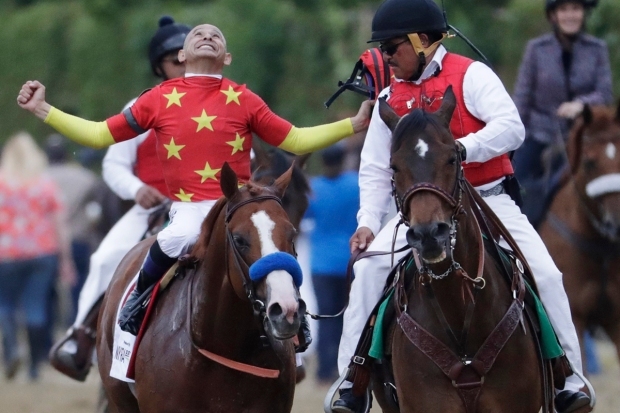 It’s already been a remarkable week for trainer Dale Romans. He potentially saved a woman from choking to death by performing the Heimlich maneuver during a New York Mets’ game at Citi Field. That intervention could take the form of a 30-1 upset by Romans’ Free Drop Billy in the $1.5 million Belmont, denying Justify the Triple Crown in the process. Romans, now nicknamed “The Heimlich Man” by Justify’s trainer, Bob Baffert, was at the ballpark Tuesday for the Belmont post-position draw. Once that was sorted out, with Free Drop Billy getting Post 2 in the 10-horse field, Romans encountered a woman bent over a table struggling for breath. Romans volunteered to step in with a Heimlich. Back at the racetrack, Romans hopes to land more than the show dough this time. He has run third three times in the 1 ½-mile Belmont, most recently to Triple Crown winner American Pharoah with Keen Ice in 2015. Free Drop Billy’s lone confrontation with Justify was the Kentucky Derby. While Justify rolled to victory in the slop at Churchill Downs, Free Drop Billy struggled home 16th, beaten by 41 lengths. Romans quickly ruled out the Preakness for Free Drop Billy and was perplexed as to the next move. Then he started getting positive vibes from the colt. At this point, Romans is willing to trust the inconsistent colt. Free Drop Billy is only 2 for 9 in his career and has turned in some of the worst efforts in the biggest spots. In addition to the Derby debacle, Free Drop Billy ran ninth in the Breeders’ Cup Juvenile last November at Del Mar. Romans' lone win in a Triple Crown race was with Shackleford in the 2011 Preakness. While not everyone can saddle a horse in a major stakes race, Romans offers a bit of universal advice. “Everybody should learn the Heimlich,” he said.